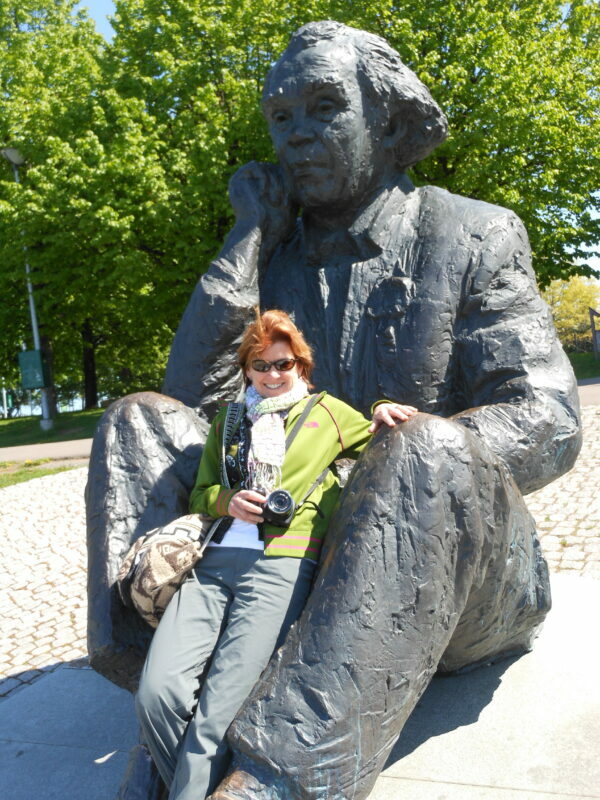 We visited Tallinn for a day arriving from Helsinki Finland by ferry. Tallinn is the capital and largest city of Estonia. It occupies an area of 61.5 sq mi with a population of 416,536. 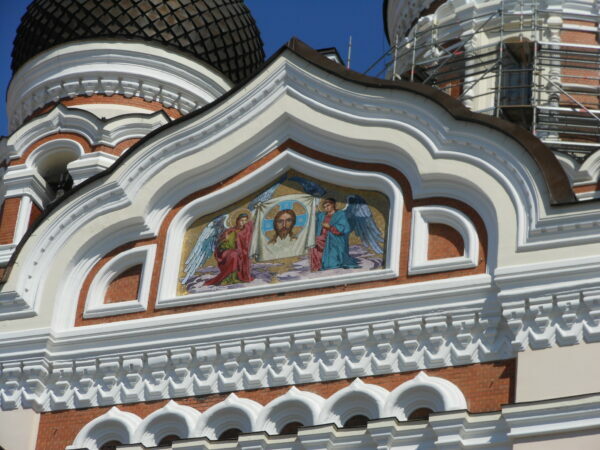 It is situated on the northern coast of the country, on the shore of the Gulf of Finland, 50 mi south of Helsinki, east of Stockholm and west of Saint Petersburg. 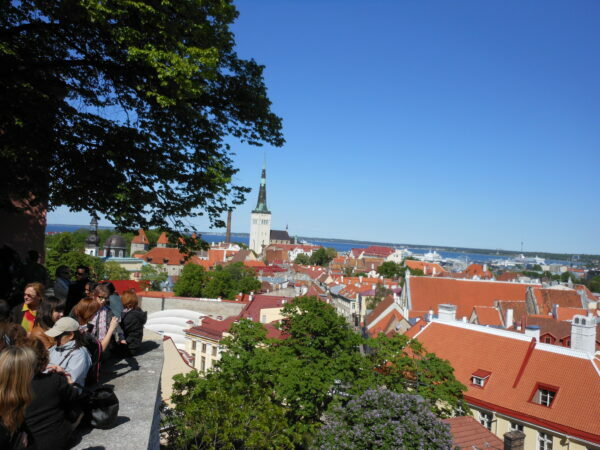 Tallinn’s Old Town is in the list of UNESCO World Heritage Sites. It is ranked as a global city and has been listed among the top 10 digital cities in the world. 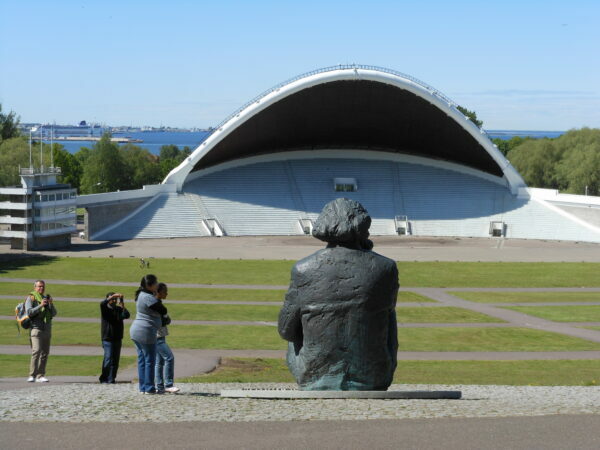 The city was a European Capital of Culture for 2011, along with Turku, Finland. 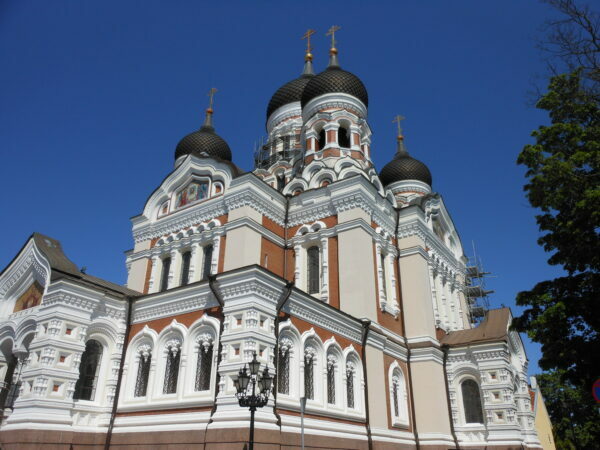 Tallinn is the oldest capital city in Northern Europe. The city was known as Reval from the 13th century until and is situated on the southern coast of the Gulf of Finland, in north-western Estonia. 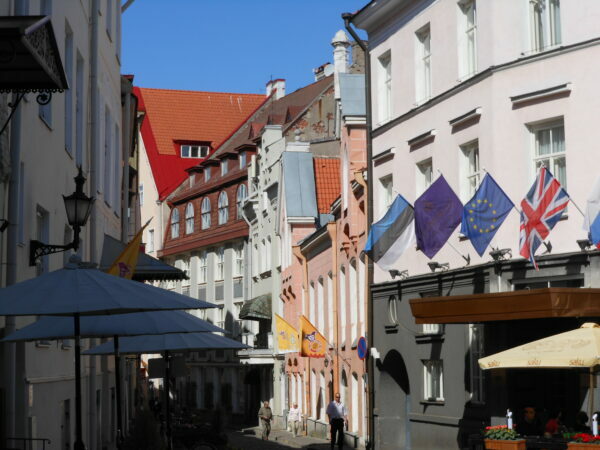 Since its return to independence, improving air and sea transport links with Western Europe and Estonia’s accession to the European Union have made Tallinn easily accessible to tourists. Estonia has made rapid economic progress since independence and this is reflected in local prices. Although not extortionate, neither are prices as cheap as in other former Eastern Bloc countries. Toompea – Upper Town. The major attractions are the walls and various bastions of Castrum Danorum, the Russian Orthodox Alexander Nevsky Cathedral (built during the period of Russian Empire, the church was built on a site that formerly housed a statue of Martin Luther) and the Lutheran Cathedral (Toomkirik) and the old Estonian Royal Palace now the Parliament building. Very cool little town, I think a lot of smuggling goes on here to Finland. Lower TownThis area is one of the best preserved old towns in Europe and the authorities are continuing its rehabilitation. Major sights include Raekoja plats (Town Hall square), the town walls and towers and St Olaf church tower. Kadriorg is 2 kilometres east of the centre and is served by buses and trams. Kadriorg Palace, the former palace of Peter the Great, built just after the Great Northern War, now houses the Art Museum of Estonia, presidential residence and the surrounding grounds include formal gardens and woodland. We passed the mueseum but did not have time to go in but I would suggest it. We visited Freedom Park and this is Arden above. Freedom park is where the demonstrators helped to bring freedom to the people non-vilontley. After viviting this beautiful town we headed back to Helsinki by boat all arranged by VIKING.